You probably have heard about crazy appreciation gains or maybe that appreciation has predicted to slow down a little bit, or something like that. But what is appreciation and what is its relevance to real estate? Appreciation means the amount a home increases in value. For instance, for the past 3 to 5 years, there has been an incredible amount of appreciation gains in DFW. Homes have been going up and being valued from 10 to 20 percent higher than previous years, sometimes more, depending on the area. It's just been absolutely crazy! 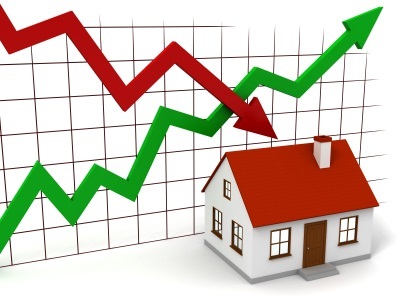 You may be thinking that since the market has slowed down we will start losing value in homes, and what I see is we will be normalizing our market. Meaning, historically in Dallas we can expect a 3-5% gain in average home values. So for a $100,000 home, that is about $3,000-5,000 increase in the cost to purchase the home each year. You may hear people caution you about buying and telling you the market is going to crash and home values will decrease, but history and a very strong economy in Dallas area jobs show that will not be the case. Thinking about buying? The best time is always as soon as your ready. Contact us today to see what it will take to get ready, put together a plan of action, or even begin the process today!